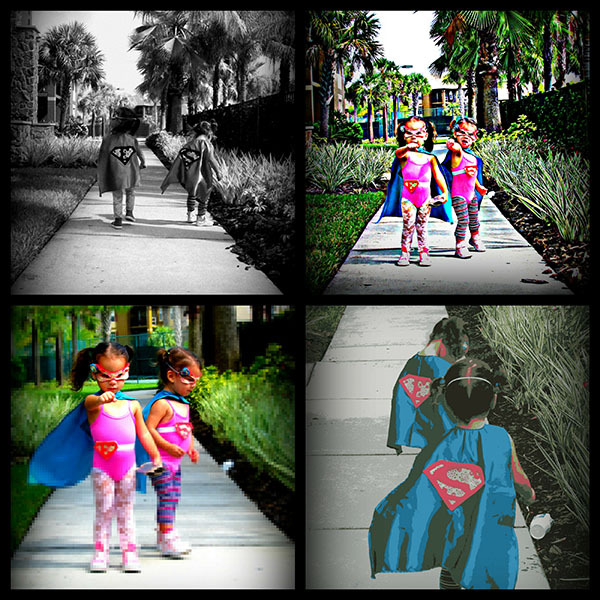 We have a fabulous girls super hero party planned by Arisai Santiago of Two Girls And A Crazy Dog for you today. The best party is she tells her planning secrets from beginning to end of the party! We are shocked that this party only costs $40 too! Learn her budget savvy secrets as she tells how it all comes together! Two year old Seylah and three years old Emma have unspeakable powers. It is said that they are capable of subduing any human being just by the batting of their eyelashes and a simple smile! 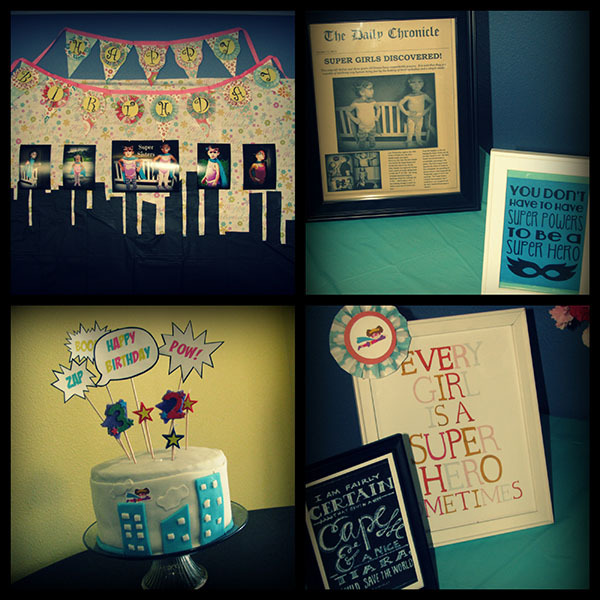 I was inspired by these ideas on Catch My Party for a girls super hero party which helped me make my super hero party come true. 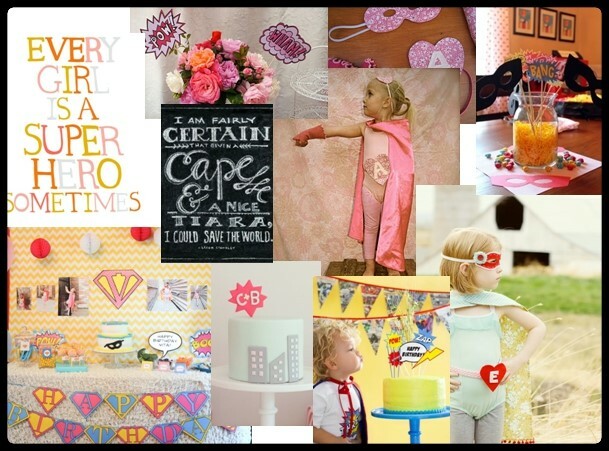 This was the perfect party theme for my eldest Emma who turned 3! She likes watching the hulk, and she likes to go around the house saying “super baby” or super girl” so it was the perfect match for her. The best part it is it was easy and fast to put it all together. I was able to plan and decorate this party in about a week. Most of my decorations I bought at Dollar Tree which was a total score. Even the bathing suits for the super hero costumes came from there. The backdrop was really fun and easy to make. I used was a roll of flower wrapping paper and a black table covers from dollar tree. The silhouette of the city really turned out well and was just perfect for the party. The lollipops were one of the most consuming things I did. Gosh I wanted it to be over! I also bought these at the dollar store. I used scrapbook paper for the cape and cut a little mask drew little black eyes on them and mod podged that bad boy! For the mask and signs I used word document and scrapbook paper to also use scrapbook paper. There was lots of cutting, that’s for sure but it is all worth it when you are on a tight budget! I did the cake myself too. It was a bit challenging because it was my first time working with fondant, but I think came out well! For the party favors, I made my famous delicious chocolate chips oatmeal cookies and put them in a zip block bag. I used scrapbook paper to cover the top with staples and put “thank you for coming” in a comic font, print it out and cut it one by one. Time consuming but worth it. I also made the birthday banner with scrapbook paper and to hold them together a pink ribbon. I wanted to make it girlie so I used lots of different flower patterns. You can actually get all of the super hero signs online. 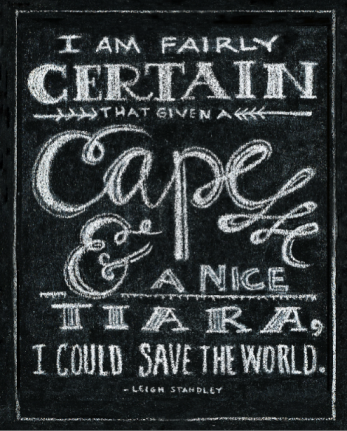 Get this super hero sign from Ashley G. on Etsy. 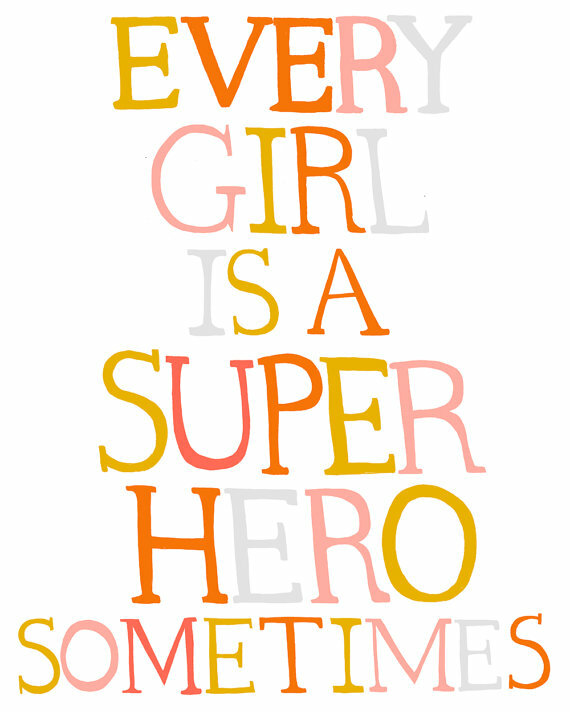 Print this out from Curly Girl Design. 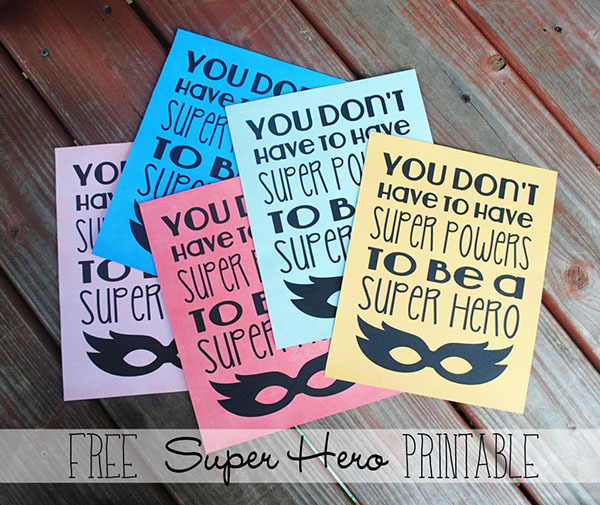 You can find these free super hero party printables from Wee Share. They come in different colors too! We decided to tell the kids invited to wear a super hero costume. 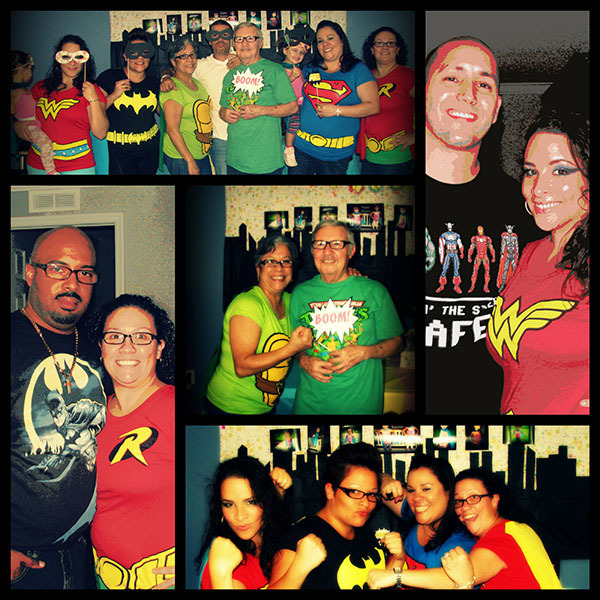 It was great that everyone was in costume!I was not expecting this, but my sister bought super hero shirts for the adults! And this was a day to remember, the cutest thing was seeing my parents join the fun! The best was seeing my girls enjoy themselves and spending time with the family! This was their first time celebrating their birthday with my family, and is not gonna be the last! What I recommend if you’re going to do a hero party, is to have some cool games for the kids, all my focus was on decorating that I neglected the games. And of course do it with enough time, unlike me! There are sooooo many ideas on pinterest for this theme is crazy, so don’t get overwhelm choose what you like and create a mood board like I did. Believe me it helps to have all your ideas in one paper! 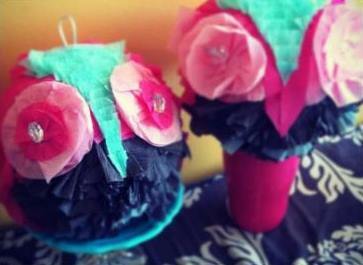 Most of the ideas I used you can also find them on pinterest on my “party ideas” board. 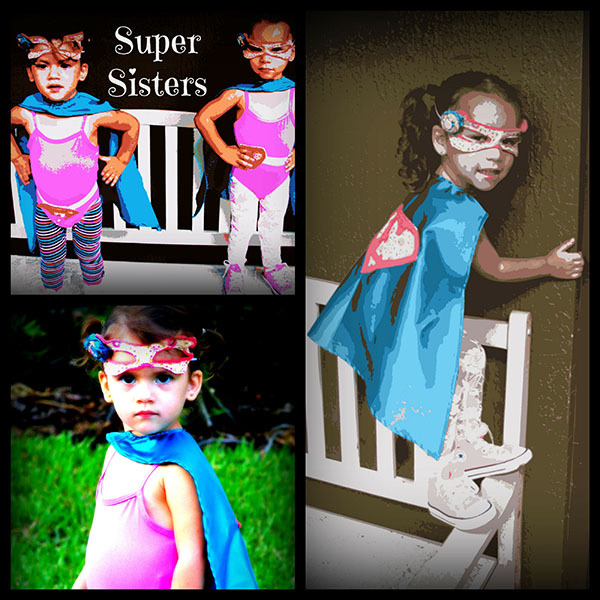 Girls Superhero Party! 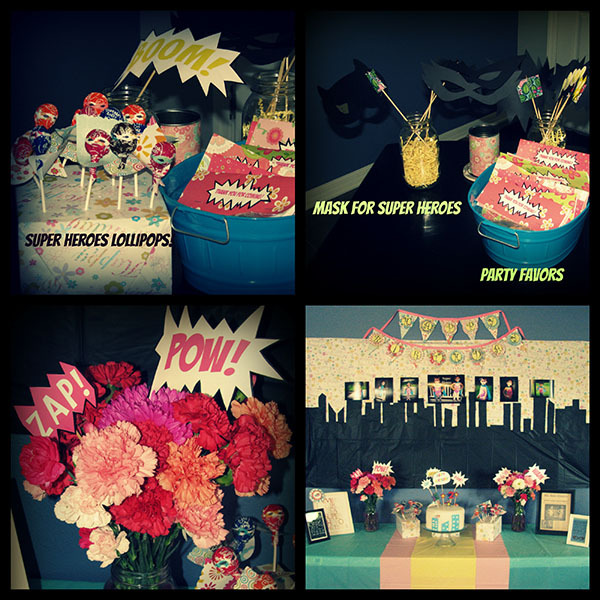 Guest Post: A Lovely Owl Themed Party Boys Superhero Party! Girls Safari Birthday!